Once upon a time I wanted to be an herbalist. I talked myself out of it . . . over and over and over. I should have a medical degree in order to tell people what herbs to take. I must have a complete understanding of the body and chemistry and biochemistry and anatomy. I feel I’m too late in life to “master” all the knowledge and get to a level where I can provide herbal advice. What would I do with all this knowledge? I can’t use it for a profession and earn money? There isn’t any scientific proof to back it up. Herbal knowledge is just superstitions. 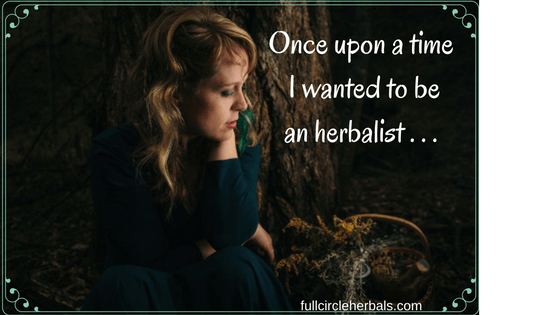 Slowly, over years, I began working on these mindset blocks about what an herbalist is. I told myself I needed to think of it differently. Think of it as providing information to those looking for a different approach to healing after using allopathic options and want to add plant medicine too. I started to use different terms to describe of herbal medicine. The word “medicine” was synonymous with “medical doctor” for me, only attainable as a profession to geniuses who came from wealthy families. Other terms I resonated with are Plant Spirit Medicine, botanical wisdom, herbwifery because of the idea herbalism seems to be turning into “What herbal pill can I take to get rid of my illness?” This is a byproduct of the current medical model. It misses the idea that plants chemicals interact with one another and smashing plants into powder so we can drop them down our gullet misses the holistic approach. No contact. No smell. No taste. No connection. Using the term, Plant Spirit Medicine, is my favorite. It helps me think of herbalism differently including energy of the plant and not simply ingesting it. I could think of myself as a researcher of plant medicine and I can share my knowledge with clients. But won’t they want dosage information? That seems SUPER tricky? I’m too scared to do that. And so I did, reading books, gardening, spending time in nature. Making herbal remedies started mostly with the LearningHerb Remedy Kit, following their blog, and joining HerbMentor.com. 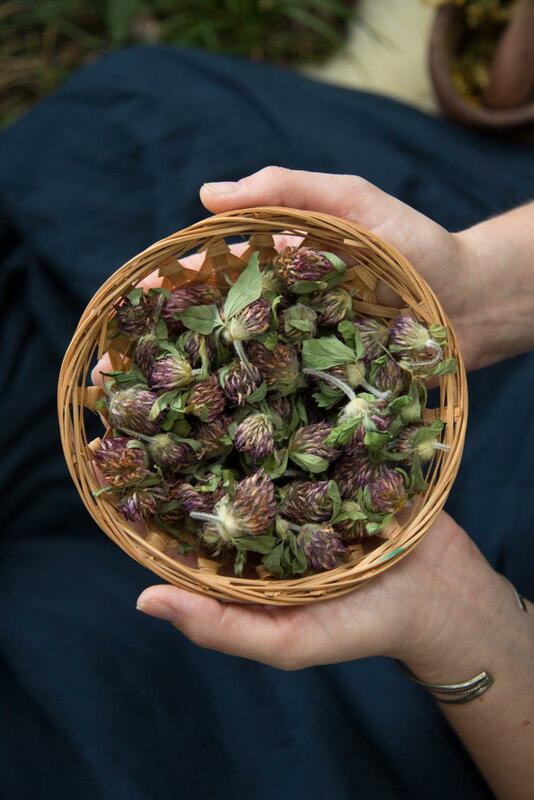 I started taking classes with a local herbalist, Gigi Stafne, and finally taking her Master Herbalism program in 2014. The ebbs and flows with my willingness to continue are a normal part of the process. Sometimes we have a lot of time to read book, money to take classes, energy to admit our interests . . . and sometimes we don’t. Both are okay. What’s not helpful, is creating our own barriers to the process. I say out loud that I’m an herbalist. A big step! I have my own business, Full Circle Herbals. Give herbal advice through herbal consultations. I hosted a plant walk at my house. I’ve NEVER done that before. Another big step! Share my story, knowledge, and experiences through blogging and Facebook. Created the Herbal Journal: A Self Study-Guide to Learning Herbal Remedies which later turned in to the Learning Herbalism Workbook. In 2017, I created the “How to Learn Plant Spirit Medicine” eCourse to address some of these mindset blocks and offer an easy to use process of learning Plant Spirit Medicine. 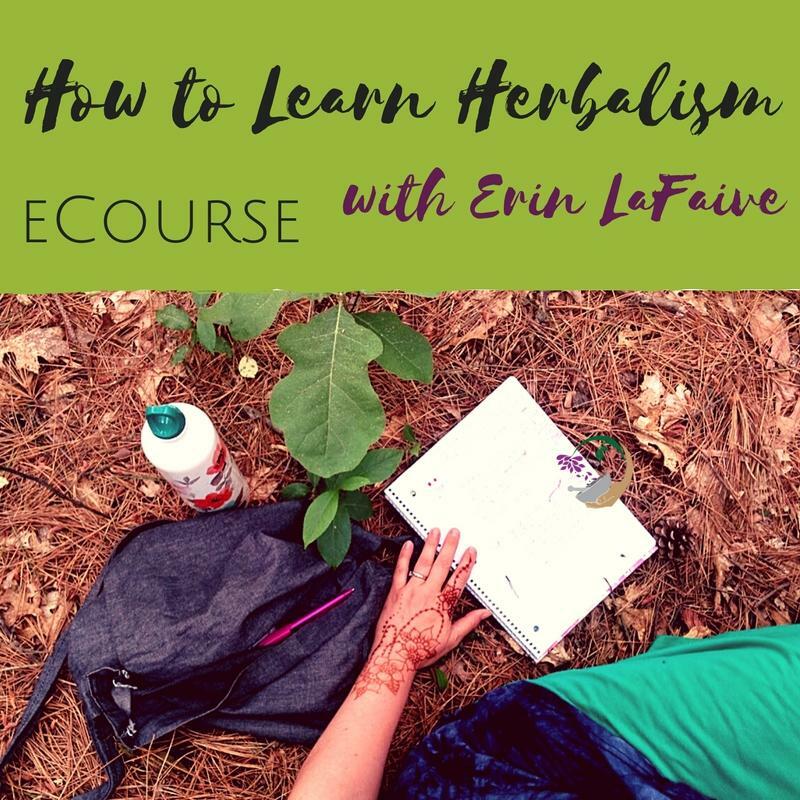 It’s now called the “How to Learn Herbalism ecourse” and added into the Learning Herbalism toolkit.